There are two types of draugr: corpses animated by a necromancer, who has imbued them with summoned spirits, and those restless dead who rise and walk for some inscrutable purpose of their own. 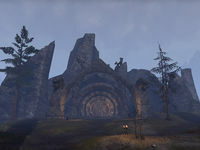 Bonestrewn Crest is a crypt in central Eastmarch. 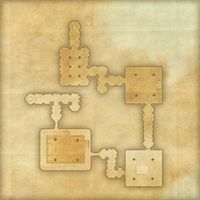 Bonestrewn Crest Objective: Find out why the draugr have emerged from their graves. Bonestrewn Crest also appeared in Skyrim.